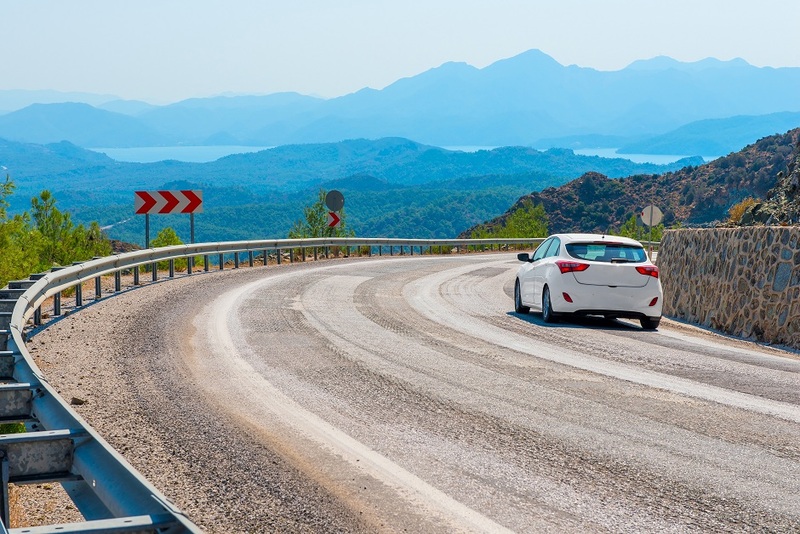 Driving abroad involves much more than simply coping with being on the wrong side of the road; there are some standard laws that must be obeyed, regardless of your destination. For example: you must have your driving licence, insurance and vehicle registration documents wherever you travel. And cars must be equipped with GB stickers and headlight beam converters. It’s also a good idea to carry your passport. You will need identification if the police stop you. But although we’re supposedly one happy European family, other laws and rules differ from country to country. Whether it’s equipment you need to pack or regulations you must obey, it’s a minefield of legislation out there. Follow this quick and easy country-by-country guide so you don’t get caught out. Although you can’t be fined if you don’t have one, each car should have at least one unused breathalyser displaying the French NF certification mark. To bring them into line with countries such as Germany and Italy, France has now banned speed camera warning devices. If your sat nav has this function, you must disable it before you land in France. Speed limits and safety kit: The motorway speed limit is 130kmh (110kmh in the wet), open roads are 90kmh (80kmh in the wet) and towns 50kmh. You need to carry a warning triangle and a reflective jacket in the cabin of the car. You must use dipped headlights in poor visibility and it’s recommended they are used during the day, whatever the weather. Remember! The French police can fine you on the spot. They do take credit cards, but for extreme offences you could have your licence confiscated. If they do that and there isn’t another driver with a valid licence in the vehicle they will impound the car too. The Spanish might have a reputation for being laid back but that doesn’t apply to driving in their country. For example, indicating on motorways when changing lanes in either direction is enforced and there are on-the-spot fines if you don’t do it. Remember! As in France, police can issue on-the-spot fines. There should be an explanation on the back of your ticket in English and you have 15 days to dispute it. The dispute can be conducted in English too. The Italian motoring law most commonly broken by the Brits is straying into a Zona Traffico Limitato (ZTL). These areas are usually in the centre of towns or cities and are either totally prohibited to cars or limited to residents with permits. Entering one without the necessary permission will result in a fine. Speed limits and safety kit: Motorway speed limit 130kmh (110 in the wet). On single carriageway main roads it’s 90kmh (80 in the wet) and 50kmh around towns. Italian law means it is mandatory for drivers to keep a warning triangle, replacement light bulbs and reflective jackets in their car, and dipped headlights should be used outside built-up areas during the day. Remember! It might be hard to believe, given the Italians’ reputation for being horn happy, but it’s illegal to use your horn in built-up areas, as it is in Spain. There are lots of recommendations for travelling in Germany. You should use dipped headlights or daytime running lights; you should have a warning triangle; and you should have a first aid kit. But you won’t get in any trouble if you don’t abide by these. Speed limits and safety kit: Think of Germany and you may imagine motorways without speed limits. The reality is only a fifth of the German Autobahn network is unrestricted. When there is a speed limit, it’s shown and is usually 130kmh. In built-up areas it’s 50kmh and on roads out of town it’s 100kmh. Remember! If you are travelling in Germany over the winter, your car must have winter or all-season tyres fitted to it. There’s a 60 Euro fine for violating that law and it rises to 80 Euros if you hold up other drivers because you don’t have suitable tyres. You should have a reflective jacket in the car’s cabin plus spare bulbs for your external lights. If you wear glasses or contact lenses you should have a spare pair in the car. Any speed camera warning device is illegal. Travellers who forget to pack a reflective jacket and warning triangle can be fined for not having them. Drivers need to have a reflective jacket and cars should have a first aid kit in a dirt-proof box plus warning triangle. Spare light bulbs, reflective jackets and a warning triangle are compulsory in this tiny country. Using dipped headlights during the day is a must and every car must carry a set of replacement bulbs, replacement fuses, a warning triangle, first aid kit and at least one reflective jacket.